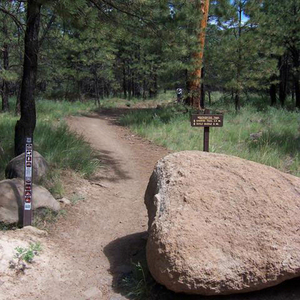 The remains of an old road that once took Model T Fords to the top of the San Francisco Peaks provides the route for this winding mountain trail. The road has since been closed to vehicle traffic to protect the area's Alpine environment, and the upper reaches of the mountain have been set aside as a Wilderness Area so forest visitors can enjoy its panoramic views in the relative seclusion and natural surroundings such an area provides. Notes: No mechanized or motorized vehicles, including bicycles, in Wilderness. 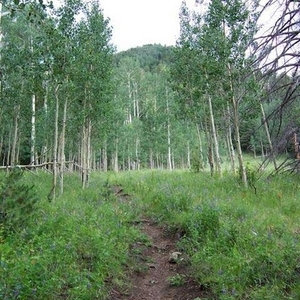 Here's the our members favorite photos of "Trails in Flagstaff". 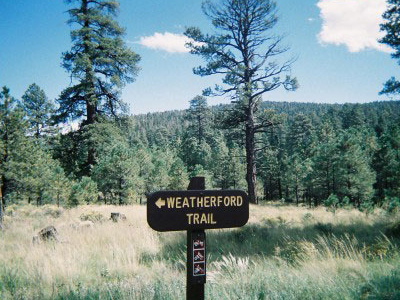 Upload your photo of Weatherford Trail!